Peonies – and Perennials to Plant in Fall! As we move into fall, and we’re still enjoying some warm days, but cooler nights. 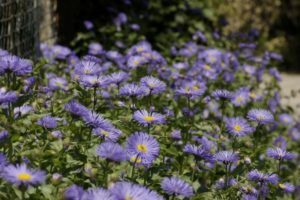 So now is the time to consider adding perennials and flowering shrubs that will add color and beauty to your landscaping. Planting in fall, is, most often a perfect time to plant and allow the plant to become established for next the next year’s growing season. In general, plants with shallow, fibrous root systems can be planted more easily in the fall than those with fewer, larger roots. This upcoming month of October Heritage Hill is offering 50% off of all Perennials, so it’s a really perfect time to consider planting! Last week and still showing in the spotlight is the Sunsparkler® Firecracker Sedum, a perennial you may want to consider! 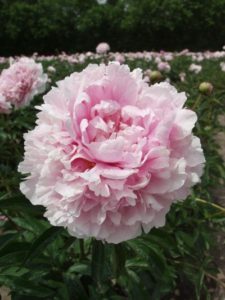 A few weeks back, we featured the beautiful Sara Bernhardt Peony on our Spotlight Page.The peony is, without a doubt one of the most favored beautiful plants in Wisconsin. We recommend the below article for great planting advice for peonies from Farmer’s almanac! Remember if you have any questions, contact our knowledgeable horticulturist & owner, Jason. He’ll help you make good decisions on what will work best and how to properly tend to your new plantings. Visit the Heritage Hill Nursery and garden center now! We are conveniently located, close to Cedarburg, Jackson, West Bend, Slinger, WI.